When it comes to finding the right candidate for a job position within your company, we understand how stressful the hiring process can actually be. That is why Trinity emplopyment is known to have some of the most successful and accurate staffing agency Tulsa area has to offer. You’ll be provided with the key fundamental knowledge it takes to achieve successful hiring processes and hiring the top talented candidate. The specialist at Trinity employment want to help you and connect you with qualified candidates and provide you with a sigh of relief. Today’s the day to allow the specialists to take the reins and to help you find the right candidate for the position within your company. We understand the importance of connecting qualified people with great jobs. When a employee loves their job and seems passionate about the position they’re in, and the passion goes beyond just that job. They become passionate about the growth and success of their company that they work for as well. This is why we find it crucial to help you find that candidate that is right for your position. We go about beyond two take measures and learning more about the candidate and how they would match up to your qualifications within your company. We strategically recruit talented employees who perfectly the needs of your company. There it may be medical, finance, or an industrial job, the Trinity appointment staffing agency Tulsa, can provide you the guidance needed and the stress relief of long processes of interviews and trying to match up the perfect candidate. We want to ensure that you have the most highest quality services when you work with us. I strive to provide you with the best of the best. Our passions don’t stop with trying to find you the epic candidate either. We have a passion for the youth in our community and having that that they can. But is why we have partnered up with the Baptist Church and have worked together to feed and provide clothing to children and young adults. We have also successfully been able provide housing and life skills for these young people. That children are our future and that the success with them starts now carries into the success of our teacher for our community. We have created a giveback program which entails every job placed Trinity will donate to the Baptist children’s home. To learn more about the different job openings within the area as well as why the appointment staffing agency the best choice for you had to https://trinityemployment.com today. For any additional information or questions you may have, call us today at 918.622.2588. It will succeed and this is why connecting people can change lives for the better. So allow the Trinity employment specialist help you today find a great job or higher top talent around. We believe in the success of your future with your career in the success with your company. Trinity employment specialists are here to help you with all of your hiring and drop like needs. The one of the best staffing agency Tulsa has to offer, is here to help you and guide you through your path of success. Maybe flying in the medical field, finances, or industrial job, our specialists have had numerous years of experience and can help you and guide you to get you to where you anticipate to be. We can connect qualified people with great jobs in return receive passion for the jobs and positions they are placed in. We want to help you develop a plan to get you on the fast track of success for your future in your career. 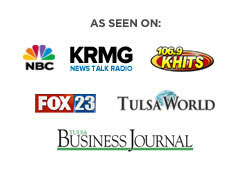 We have been known to be one of Oklahoma’s highest and most reviewed staffing agency Tulsa companies around. Because of the high expertise that we provide high quality services as well. We want to connect grunt companies with exceptional talent and have strategically recruited talented employees who perfectly the needs of your company. Whether you are trying to find a new mission within your career field or you are an employer trying to find top talent for a physician within your company, we have the solutions and answers you have been searching for. We want to help you grow and we want to help reach your goals. Our passion step into community service as well. We have partnered with Oklahoma Baptist Church in working together to feed and provide clothing for children and young adults. We have also been able to successfully provide housing and life skills for these young people. We believe that the youth is our future and that we should help them achieve their goals and strive to the potential that they deserve. To help the youth grow we have been able to develop a given program. This program entails every job placed Trinity will donate to the Oklahoma Baptist children’s home. We stand apart from any other staffing agency Tulsa area by we stand apart because we are truly passionate and want to drive success for you and for all of your career goals. Allow the specialists with Trinity employment to help guide you and so forth a successful future for yourself or for your company in which you are trying to hire a talented candidate. Regardless of what industry you are in or what level you are at, we have the solutions that you have been seeking for so long. It is time to stop scrolling through pointless ads on the Internet and it is time to let the specialists with Trinity employment take you to the success levels that you strive to reach. about the job openings within your area or informational knowledge provided by our podcasts on our website head over to https://trinityemployment.com today. You can also give us a call at 918.622.2588 for any information or additional questions that you may be having about Trinity employment. We want to connect people and change lives for the better, and help you reach all of your goals.